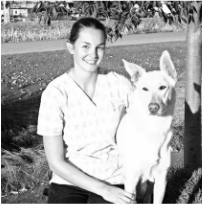 Kathy graduated from WCVM in 2000 and then completed a one year rotating internship in small animal medicine and surgery in West Hartford, CT. Kathy then spent four years in a private practice in Penticton BC. Deciding she wanted to try something a little different, she switched to full time emergency medicine for eight years in Edmonton. 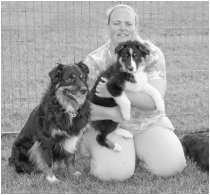 As an active competitor in dog sports, particularly agility, obedience and herding, Kathy developed an interest in sports medicine and rehabilitation, completing her certification in rehab through the Canine Rehabilitation Institute. She spent the last 16 months doing full time canine rehabilitation at WCVM as well as learning animal Veterinary Spinal Manipulation Therapy through the Veterinary Chiropractic Learning Centre and acupuncture through the Medical Acupuncture for Veterinarians program. ​Dr. Kimberley Palacios was born and raised in Kingston, Ontario. After graduating from the Ontario Veterinary College she spent one year in a mixed animal practice before moving to Calgary. In Calgary, Kim has worked as a small animal practitioner. 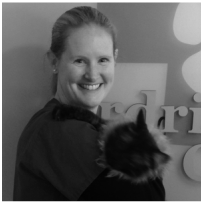 She loves being a veterinarian, but her professional interests lie in preventative, feline and geriatric medicine along with dermatology and emergency. When not busy with her professional activities, Kim can be found running around with her two young girls, Holly and Adriana. She also enjoys hiking, reading and doing home improvements. Dr Jeni Liggett is a graduate of the Western College of Veterinary Medicine. 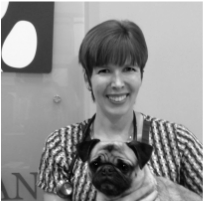 Dr. Liggett is skilled at all aspects of veterinary medicine but her favorite part is interacting with clients. She loves the exchange of information that happens and is thrilled how great dialogue benefits the patients. She is so passionate about client relations that she added Instructor of the Veterinary Office Assistant for Robertson College to her resume. She loves meeting new clients and patients. 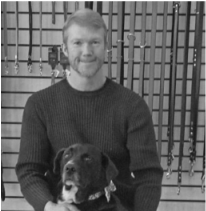 ​Jeff graduated from the Atlantic Veterinary College in 1997 and then continued on to Florida to complete his Veterinary internship. While in Florida Jeff focused on canine behavior and dermatology. Since then Jeff has operated several clinics in Calgary and Airdrie always with a priority of great client service and patient care. He now spends his time between the Airdrie Animal Clinic and Springbank Pet Hospital. His three rescue pets at home are Cola (Pitbull/Lab Cross), Dexter (Brussels Griffon) & Sheriff (Domestic Longhair Cat). Terrie Ann has had a love for animals of all kinds and the role they play in our lives for as long as she can remember. She graduated from the University of Victoria in 1994 with a Bachelor of Arts degree and was a member of the UVic rowing team. Her career as a veterinary administrator began twenty years ago after taking a Pet First Aid course. She went on to volunteer for the Calgary Humane Society and eventually found the perfect spot ensuring that furry family members are well looked after and so are their loving owners. Terrie Ann’s primary role is to ensure that clients and pets receive the best care possible every visit and she doesn’t hesitate to go above and beyond. 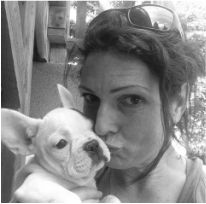 She is always available to assist owners navigate difficult times as well as celebrating the good ones and welcomes speaking with clients about their experiences. She is a busy hockey Mom, but loved the game so much she started playing a couple years ago. She has two terrific boys, Jackson and Mackenzie and a special needs Chihuahua named Pepe. ​Nicole graduated from Red River College in 2008. She was born and raised in Manitoba with 3 cats and now calls Alberta home. She currently has a rescue dog named Phoebe, a 3 year old white shepherd/lab mix and a 14 year old thoroughbred off the race track named Max. Unfortunately she had to leave her three cats back home in Manitoba but cannot wait to rescue more. She is interested in alternative medicine and excited for the addition of the water treadmill here at Springbank Pet Hospital. In her spare time she enjoys riding her horse, hiking in the mountains with her dog and reading a good book. When Sarah found out about Animal Health Technologists she knew that it would be the perfect job for her as she has always wanted to work with animals since a young age. She started with the Veterinary Medical Receptionist program at Olds College as a first step into the veterinary medicine world and has recently finished her first year of the Animal Health Technologist program at Olds College. In her spare time Sarah loves playing ringette and many other sports. Terri began her veterinary career when she was a volunteer for a small animal clinic after high school. She pursued a professional certification and graduated from the Olds Animal Health Technology program in the 1980s. For fun, she completed a BSc in bio-science and environmental science. She is also a certified laser practitioner. At Springbank Pet Hospital, you will find her caring for patients in the water treadmill, treating with the therapeutic laser and just about everything else. We are not sure who looks forward to the treatments more, Terri or her four (and sometimes three)-legged fans. Terri is an avid sports fan and can hold her own with any conversation about most sports including the NHL, CFL, NFL and the MLB. If you add in some super spicy salsa, you will have Terri’s perfect day off. She misses her horse, Amber but most will recognize Terri for her love of cats. Her kind, cat-friendly, open-home policy means she often adopts old or medically challenged cats into her cat family. We are lucky to have a true animal advocate and recycling expert as part of our team.